The more I think about the way the world works, and the invisible hand that works the world, the more I am awed. It’s so interesting that the resources exist for all who care to be wealthy to truly be wealthy. It is amazing that there are enough resources on the planet to make everyone wealthy, yet less than 10% of the world control more than 90% of it’s resources. The earth is on course, it stays it’s course under the influence of forces that are backed up by explainable laws. In the same consistent way, every process on earth is backed by principles. If you know the principles and laws governing a result, you can always replicate it! I don’t know if it excites you as it excites me, that $1 kept at 20% per annum can become $1million in 75yrs. If it is managed at even 3% it can still become $1million in 468yrs. I’m sure you think this is too long a time, but look at it this way. It means everybody can own and build a foundation. I can give $1 to my bankers, and write a will to back it, instructing them to give away $30,000 yearly on my behalf once my money has become $1million. If we are more consistent with our savings and educated with our investments, we can all become multi millionaires in our lifetime. To build sustainable wealth has a how to, I cannot claim I am there, but I can say I’m on the path. The little advice and ideas that I share here, if put to use, will be of tremendous value to someone. Maybe you, maybe someone else you know that you can send this link to. To build sustainable wealth, here are the key things you should do. 1. Be clear about what you want, and why you want it. This sounds very ordinary, but it’s probably the most important step in your building sustainable wealth. Many people merely play lip service to their desires to be wealthy. Be sure about this, nothing begins to move in your favour until you have absolute clarity about where you are going. The world does not put anybody into consideration before it chose it’s weather, you are not why the wind is blowing or why the rain is falling. Nature will not inconvenience another to give you showers of rain. The world works the way the world works. Your assignment is not to seek to break the natural flow of things, your work is to make them align with your purpose. No winds blow in favour of a ship without direction. Having direction for your life and a strong compelling reason is the minimum you can do to set the winds in your favour. Nothing needs to change in the way they have been before, but if you gain clarity, many things that didn’t make sense will begin to be very valuable and important. Think about this true life story (I’ll probably do a full article on it later) – A young man by the name Kyle woke up one morning and decided he was going to trade his red paper clip for a house. All he had, as far as many people was a worthless red paper clip, and what he wanted was a house. In one year, this young man traded his red paper clip for a fish shaped pen, traded that for a carved door knob, traded that for a Camp stove, then traded that for a generator and traded and traded until in 1yr he had a house. Key lesson for me is, where you are today is not the big deal, the big deal is where you want to go, and how clear it is to you. What you want gives you direction, why you want it, keeps you motivated. There are 3 key things necessary for your map to be complete. The first is a starting point, the second is a destination, and the third is a plan of action that connects your starting point to your end point. Many people want more money, more resources and more from life, but they can’t tell you precisely where they are. What is the minimum you and your family need to survive? What is your current monthly expense? What is your current portfolio? What does your balance sheet look like? Don’t worry about the technically sounding stuff it’s simply 4 elements – your income (passive and active), your expenses (recurring) and your liabilities and assets. You need to define your starting point. Then your destination. What is wealth to you? How much do you need to become financially free? What expense must your passive income rise above to make you truly free? Freedom is not when you can buy anything you want, it’s when you can afford to buy what you normally buy without having to exchange linear work for it. Your plan of action, is your strategy. 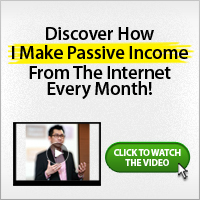 There are a few key strategies based on the 5 known channels of creating passive income. You can do it alone, or work with a group, but you need to know all the avenues, and chose a strategy. This area is where people always need guidance, and usually the coach to student ratio is very small. I can provide personalized support in this. You can also read here for more thoughts on passive income generation avenues. 3. Understand the 3 Key Elements that Make Wealth Possible. There are broadly two sources of income. There is people working for money, and there is money working for money. There is linear income and there is non-linear income. 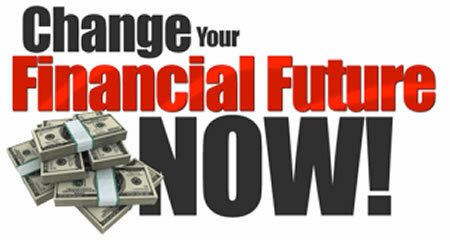 Linear income is the direct exchange of time for finance – it is limiting. Non-linear income is passive or residual income, it’s income coming not from the direct exchange of time for money. Whatever it is that occupies your time today, you need to find a way to begin to not only generate extra income, but to generate passive income. 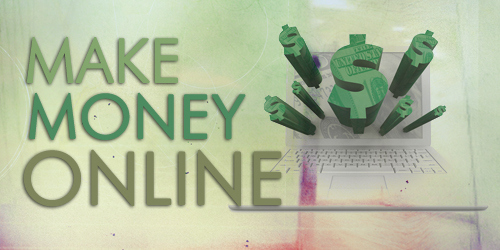 Before you get involved in anything, ask yourself, does this have the potentials to give me passive income. Passive income is generated from the Business or Investor quadrants, not from the Employee or Self-employed quadrants. Make sure you are involved in business that you can automate, or investments that are good. Investing without education is gambling, get education and enlightenment. 100% of one persons effort is not as sustainable as 1% of 100 people’s efforts. You can’t get it done all on your energy and all on your current resources. “The wisdom of others that enables us to call the elderly wise” – a Yoruba proverb. Leverage is using other people’s time, resources, energies, money e.t.c. in small percentages that make sense in the bigger picture. Why is Real Estate so great? It’s great mostly because of the leverage the banks give for Real Estate investments. 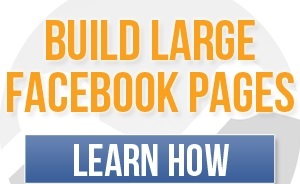 Why is Network Marketing so great? Because of the leverage of so many people’s efforts? Why is the stock market a shadow of it’s former self? Because nobody is willing to give you leverage to buy anymore. Leverage is one sure way to build sustainable wealth. If it’s all based on your personal effort growth will be slow and the impact of failure might be difficult to bear. What are you doing today that you are using leverage? Albert Einstein said that the greatest investment of man is compound interest. Compound interest creates serious possibilities for financial stability. Anything that can grow geometrically provides amazing possibilities. It defines the concept of seed, of growth and of harvest. It is better to collect $1 that doubles everyday for 30 days, than $5million without interest today – that’s the power of compounding. Does your venture have geometric growth potentials? These key indices is why I personally love well designed network marketing models. It’s also the reason why I love real estate investments. Later, we will talk about creating multiple streams, managing your life, working with a team, investing in knowledge and taking charge. All these in Building Sustainable Wealth 2 as this is getting too long already. What is Wealth… Do you know? I enjoyed your article. You went so deep into the foundation of what we need to make things happen. I especially like your first item: Be clear on what you want. People say they want things but never stick to the plan to achieve it. I believe they don’t really know exactly what they want. Many people don’t really know what they want even after to put that thing in their face. This was filled with insights and was truly inspiring. With me, no matter what happens, I know I’m going to be a billionaire. This post was really enlightening.